The Talking Box: Triads and Lawmen and Horsemen, Oh My! Triads and Lawmen and Horsemen, Oh My! WHACO will return at the beginning of October – my brief personal hiatus didn’t leave a lot of time for the research required for a month’s worth of games. 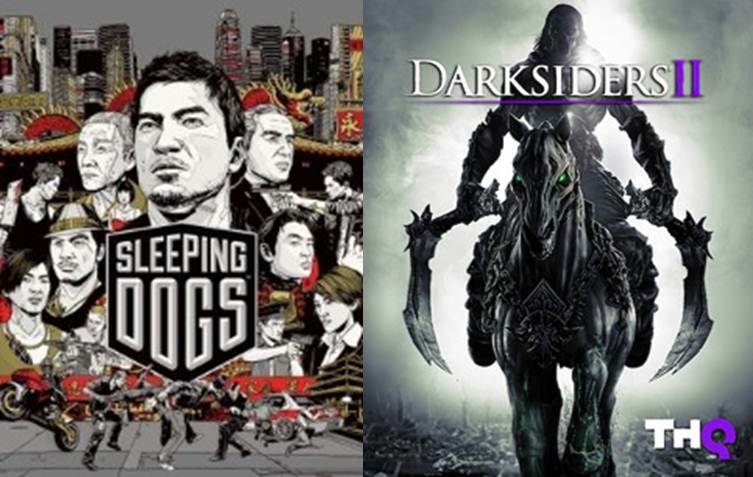 Today, though, I’m going to talk about two of the games from the August issue of WHACO: Sleeping Dogs and Darksiders 2. Let me begin by saying, simply: if you’re on the fence about one or both of these titles, do yourself a favor and pick them up. Both games are enjoyable for their gameplay alone and the stories they tell will keep you entertained while you’re doing it. Sleeping Dogs is a third-person, open-world action/crime drama with limited roleplaying elements that has the player in the role of Wei Shen. Shen is a Hong Kong native who spent some time in the United States before returning to the city of his birth to work as an undercover cop infiltrating one of the Triad groups, Sun On Yee. The game was developed by United Front Studios and Square Enix London and published by Square Enix in what seems to me to be a rather radical departure from their standard roleplaying fare. Sleeping Dogs is a gorgeous game – the designers seem to have done their homework in creating a believable Hong Kong, crowded with people and vehicles, food stands and bright neon. The combat is intuitive and flows very well, allowing Shen to rather easily take on large groups of thugs with some pretty impressive martial arts. As with most open world games of this kind (Grand Theft Auto most easily comes to mind), vehicles play a central role in getting around – thankfully there are only a few driving events that are required to advance the plot, and while some of the street races that serve as mini-games can be quite challenging, the required sections are dumbed down for people like me who are ridiculously terrible at driving in video games. The plot highlights Shen’s internal struggle with performing his duties as an officer of the law in his attempts to bring down the Sun On Yee from the inside while growing attached to the men and women he encounters as a member of the gang. This is where I think the developers were trying to add the “role-playing” elements, but while I thoroughly enjoyed the story presented, there’s no real “choices” to be made between the police and the Triads. I believe they missed a huge opportunity in the many cut-scenes and dialogues to add actual choices of responses or even interruptions (such as in Mass Effect 2 and 3) that would demonstrate the player’s (and therefore Shen’s) loyalty to one side or the other. There’s no real sense of indecision on the part of the player about who will eventually win Shen’s complete loyalty – it doesn’t help that in order to advance the plot, you’ll often have to perform some jobs for the Triads, then some for the police, then some more for the Triads, etc., or that completing the jobs for one side or the other have no effect on the opposite side, even when the jobs are somewhat related to the same issues. Despite those missteps, Sleeping Dogs is a well-crafted action game with a compelling story and plenty of diversions from the main plot when you just feel like killing time. Speaking of killing, Darksiders 2 puts the player in the role of Death himself…and Death turns out to be an all-out badass. Rather than continuing the story told in the first Darksiders, Darksiders 2 actually takes place concurrently with the plot of the first. Without giving too much away (for those who haven’t played either game), Death’s brother, War, has been accused of starting the Apocalypse too early and without the support of the other three Horsemen: Death, Fury, and Strife. Death is convinced that War has been wrongly accused and has set out to prove it by finding out just what the hell is actually going on. Darksiders 2 is also an open-world action/role-playing game, with a deeper customization and dialogue system than Sleeping Dogs is able to boast, though dialogues still tend to be extremely light on actual “choice” and instead focus on directing conversations to reveal more about the game’s backstory and universe as a whole. 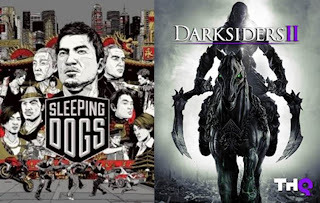 The game looks fantastic, though while Sleeping Dogs goes for realism, Darksiders 2 is very much stylized; given the subject matter and the fantasy feel, though, this is probably a good idea. Having said that, some of the environments can be bland, with the land and sky being various shades of grey and brown with more grey and brown as highlights. Luckily the world itself is usually interesting enough for the dreary palette to be forgiven. Combat here is much like God of War, with Death using his signature scythes as a main form of attack along with an array of secondary weapons that range from heavy axes and hammers to light, fast arm-blades and gauntlets. The two sets of weapons can be used in conjunction to pull off complex combos that can end rather spectacularly with Death flashing into his Reaper form (what most of us think of when we talk about Death personified – though to be fair, he looks much cooler in the game) for the final blow. Death has several armor and weapon slots that can be filled, and armor pieces have their own unique look. He also has two very different skill trees to choose from, one of which focuses on hand to hand combat and the other which focuses on summoning various kinds of undead to do his bidding. I’ve never been much for minions, so I tend to keep to the pure combat side. While the story is enjoyable, the tasks and quests fall into a predictable pattern of “You’ve done well, but to do X, you have to Y [insert number between two and five], Z, and you will be granted ________,” rinse and repeat. As much fun as the game’s story is, getting it to advance can sometimes feel like a chore. The potential for exploration and combat along the way can help to make it feel less so, but every once in a while I did find myself rolling my eyes when the Bone King would tell me I had to kill three more things before he would tell me what I wanted to know. All in all, Darksiders 2 delivers an experience that is a few good strides ahead of some of the other recent action offerings. So, as I said before, if you’re on the fence about one or both of these titles, just make the investment of time and money. If you’re looking for well-told stories and entertaining diversions, here are two great choices good for at least 30-40 hours each.